Wow, this week has got away from me. Again. Before things get out hand I have a post today which will surely make any true southerner happy as it features an ingredient beloved most, the peanut. Of course, in the South we have a penchant for taking something ordinary and making it, if not extraordinary, then just plain ‘different’. Add in some good company who are of a similar disposition as yourself (or at least decent conversation) and you’re set for several hours of good times. Boiled peanuts also make fine company for a fishing trip, college football tailgating and an afternoon at the beach. In my household, my daughter and myself are the boiled peanuts lovers – Dear Hubby can leave them, apparently. I still cannot quite figure that one out. But this leaves plenty for Girlie Girl and me, although she has not quite mastered opening them yet, so that task falls on me. I’ll give her one more summer and then she’ll need to step it up. Hey, she can open a steamed oyster, why not a peanut? 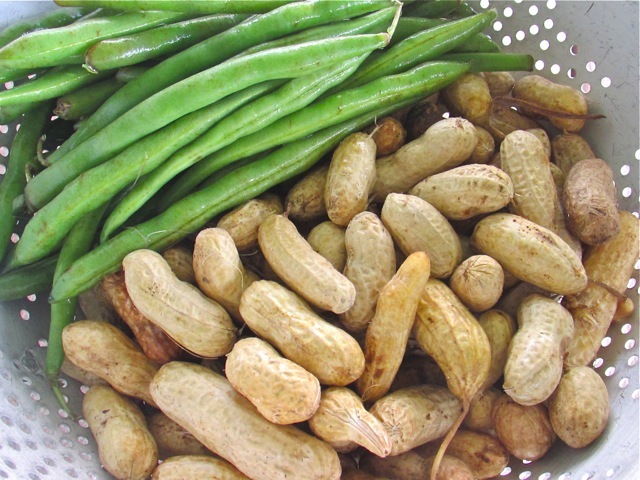 If you’re not familiar with preparing basic boiled peanuts please see my previous post, The Art of Peanut Perfection. 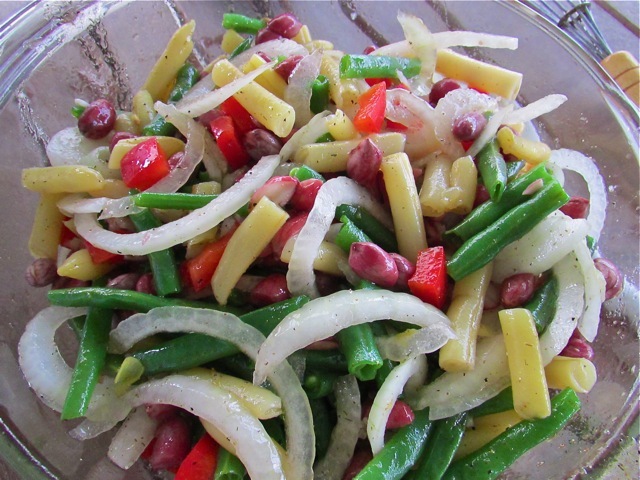 My recipe today is one I thought about for a long time, since 3-bean salad is a summer time favorite of mine. 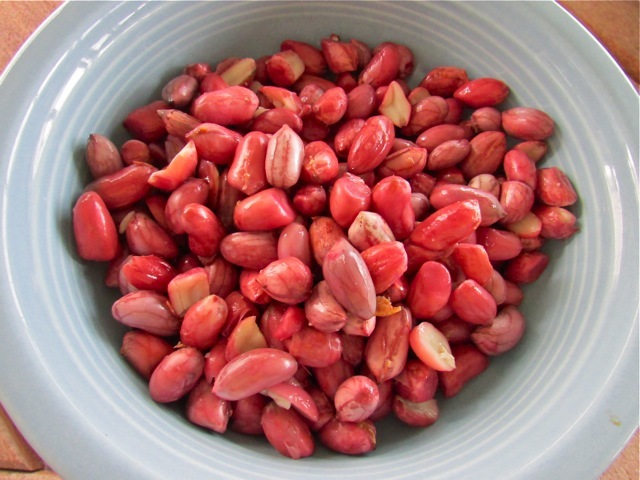 I thought boiled peanuts would be a good replacement for kidney beans (not my favorite, anyway!) My biggest obstacle was shelling enough peanuts without me and others (who shall remain nameless) eating them all first. I finally got my chance after Girly Girl and I practically overdosed on them at Edisto Island. We had eaten enough, for that day at least. 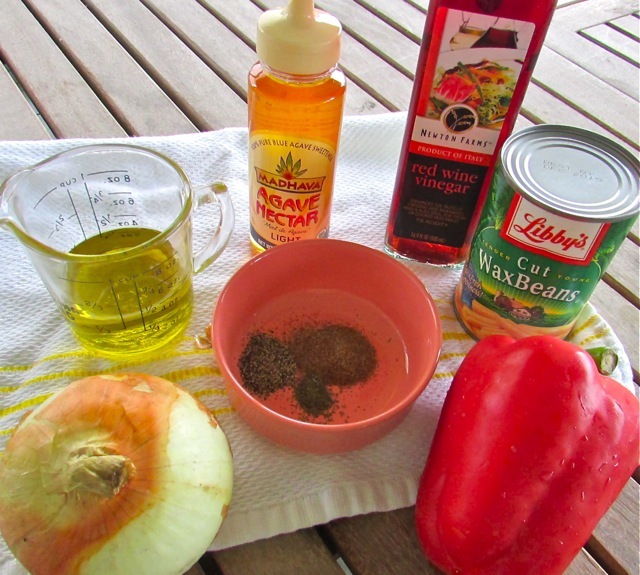 Use fresh beans if you can – fresh wax beans are practically impossible to find here – so I used canned here. Fresh greens beans are bountiful now as are peanuts – no reason not make this pretty make-ahead side dish that gets better even after a day or two in the frig! The addition of the cayenne pepper gives it a bit of a kick too, but no worries… just relax back in that hammock and crack open another cold one! 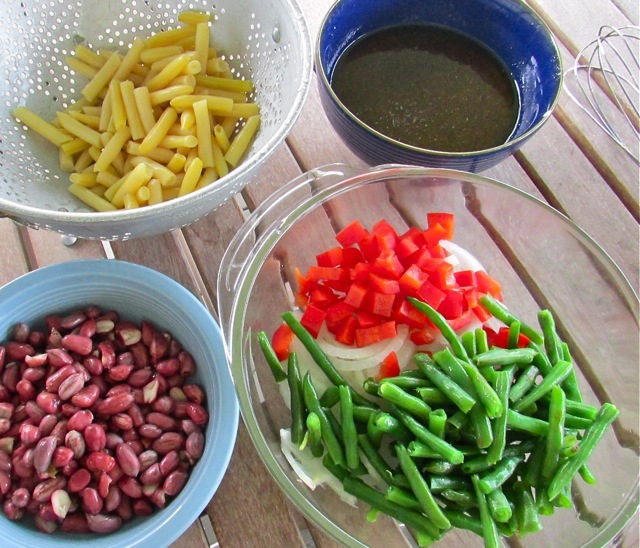 Fresh green beans and raw ‘green’ peanuts – pretty! “Other” ingredients include onion, bell pepper, red wine vinegar, olive oil, agave nectar, and spices. Here are the boiled peanuts, shelled. Yum! Par boil the fresh green beans lightly, cool and snap into thirds. Mix the vinaigrette together and simply add to all the other ingredients in a large bowl. Mix gently, cover and refrigerate until it’s eatin’ time! 2 cups fresh green beans, cooked and snapped into approx 2 inch pieces. In a medium bowl mix the vinegar, oil, nectar and spices and salt. Wisk together well and set aside. Leftover vinaigrette is great as a salad dressing base – just add in some citrus like lemon or orange juice and maybe some minced thyme or oregano. 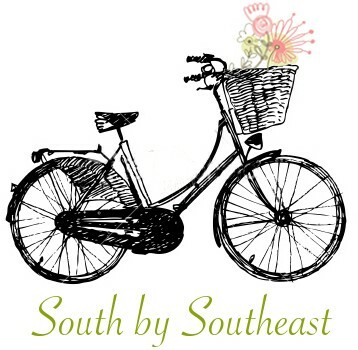 This entry was posted in Miscellaneous and tagged 3 bean salad recipe, Betsy Hinderliter, boiled peanut recipe, picnic food, summer salads, tailgating recipes, vegetable side dish. Bookmark the permalink.